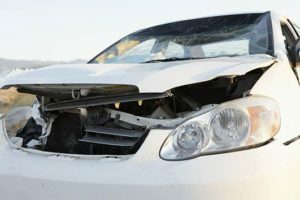 Accidents are prone to happen, but auto accidents caused by negligence, drunk driving and road carelessness must be accounted for and if you end up with physical or psychological injuries you need to be compensated. It is advisable to seek legal counsel as soon as possible. Rawa Law Group fights for El Cajon locals in this situation who have been involved in an auto accident and are seeking a professional attorney to help them seek justice. Our law firm has a team of legal luminaries with over 50 years of combined legal experience, and all ready to work long hours to ensure you are given closure with adequate compensation. When you work with Rawa Law Group team of seasoned lawyers, you can rest assured knowing that we put in extra hours to see your case has the prospects to produce a successful outcome. We work with you as a team and keep you informed of the steps and processes of your case all the way through. Going with our firm means you have a dedicated attorney who handles your case personally, giving it adequate attention to have a successful outcome. Our legal practice is ethical and there are no hidden charges, and we only get paid when we come out victorious, so there’s no risk of losing money for you. It’s not too late to hire an experienced auto accident attorney in El Cajon, take advantage of our free case evaluation and schedule a convenient time with our flexible office hours. Contact us today to get started.